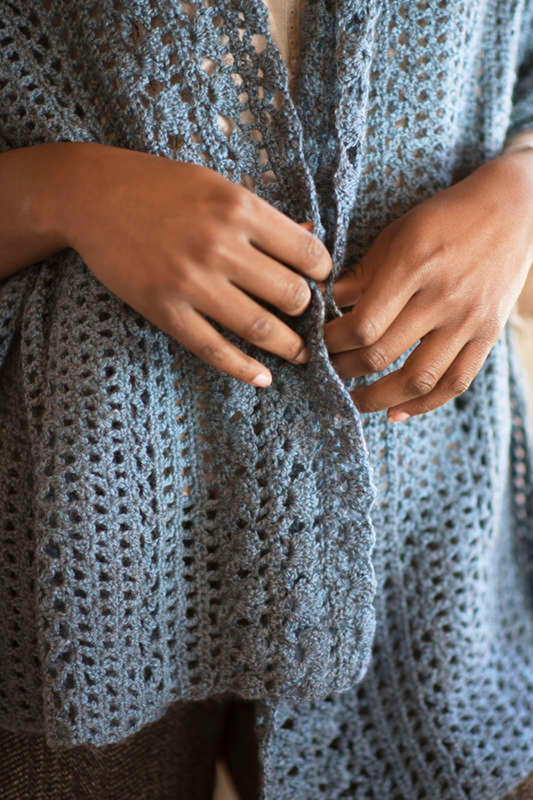 This crocheted scarf pattern shows off how beautifully Berroco Skye works in crochet stitches. Worked lengthwise, the main portion of this scarf is worked in a double-crochet mesh pattern, then scalloped edges are worked on either side. Finished measurements: Approximately 22 1/2" wide x 64" long. Renegade Knitwear Patterns - Another Place and Time - PDF DOWNLOAD is a similar pattern: 21 (5.25 sts. / inch) finished gauge, shawls, wraps, ponchos garment, for unisex, and sport (24-26 sts/4 in) yarn gauge. You may also like Berroco Booklet 393 Millefiori Light Patterns - Broderie - PDF DOWNLOAD, which is another similar pattern: 21 (5.25 sts. / inch) finished gauge, shawls, wraps, ponchos garment, and sport (24-26 sts/4 in) yarn gauge. 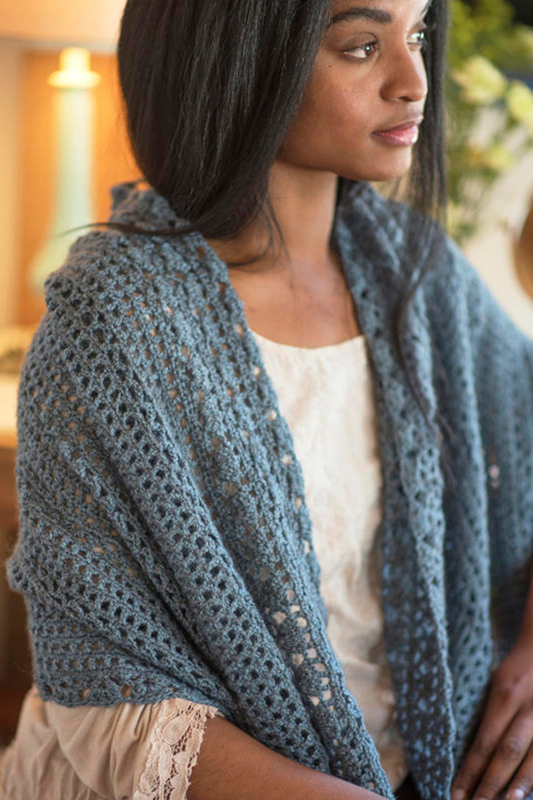 You may enjoy taking a look at the , and Berroco Skye Meryton Pullover kits all using Berroco Booklet 398 Skye Patterns. Hopefully our suggested yarn options for Rosings - PDF DOWNLOAD can help you come up with your next exciting new project idea!